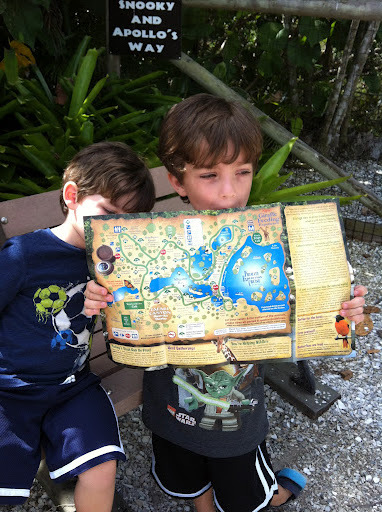 I took the boys to the Naples Zoo today. It was our second attempt because we were originally supposed to go on Monday, but, if you recall, I woke up with the plague that day. The reason we went (besides why not?) is because I promised Riley I would take him and Dylan once he was fully potty trained. Note to parents who are at the beginning of their potty training journey: Don’t be reckless with your potty training promises. These kids might not remember where they left their shoes, but they sure as hell won’t forget if you promise them a trip to Disney World for pooping in the toilet. I, for one, am a Proud Mama for my totally manageable (and affordable!) promise. 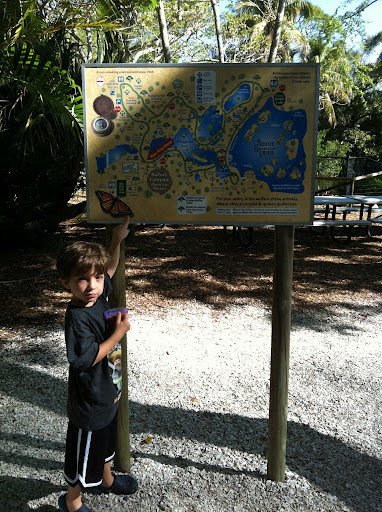 For us, the Naples Zoo is just across Alligator Alley, about an hour and a half from home. The ride out was fine except for one nasty storm, but the rainbow that came with it was exquisite and worth the hassle. I only wish I could’ve taken a picture, but I was busy driving…and opening up bags of pretzels, passing Sippy cups back and forth, and peeling bananas. You think texting and driving is dangerous? Try parenting and driving. 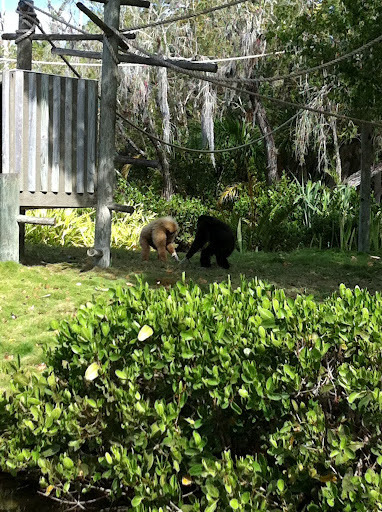 Anyway, we made it across the Sunshine State with one pee stop, and we were inside the gates of the zoo by 10:30am. This was the Primate Expedition Cruise, a boat ride that sails around small islands where apes, spider monkeys and King Julien (i.e. lemurs) live. This is what I packed for lunch. Ha! Early April Fools Day! 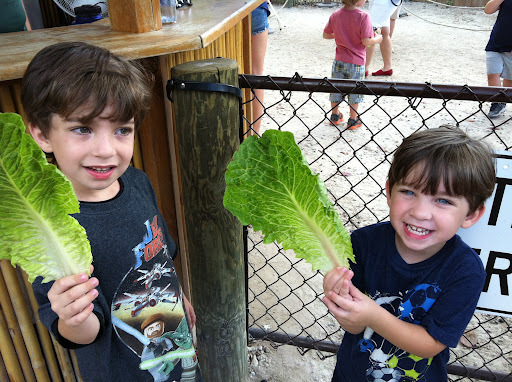 The lettuce was for feeding the giraffes. The zoo has five “baby” giraffes that are huge and beautiful, and I will never, ever get tired of watching giraffes. We went on a camel ride! 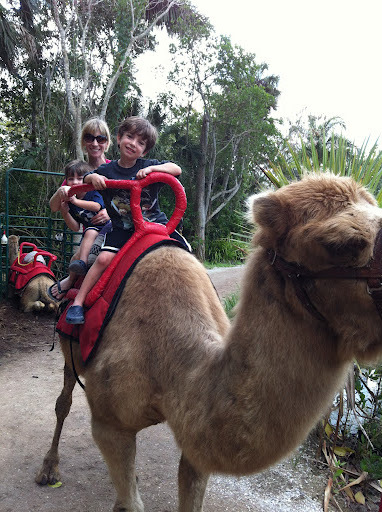 While we were on the very-short-for-the-amount-of-money-it-costs-but-at-least-the-money-goes-to-helping-the-zoo-and-the-animals ride, I told the boys the story of when I rode a camel in Israel when I was a teenager. I left out the part where the camel threw me off his back and I landed face down on a rock. Thankfully, today’s ride had a happy ending. 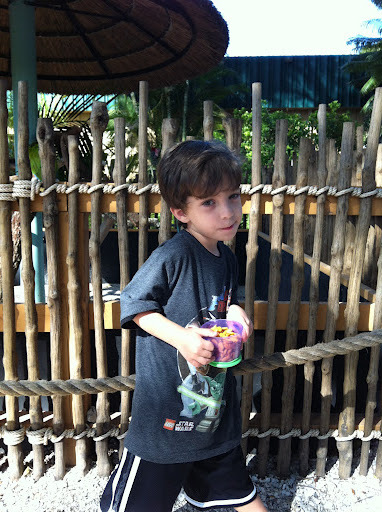 “Mommy, are you sure there are no hippos at this zoo?” There aren’t. 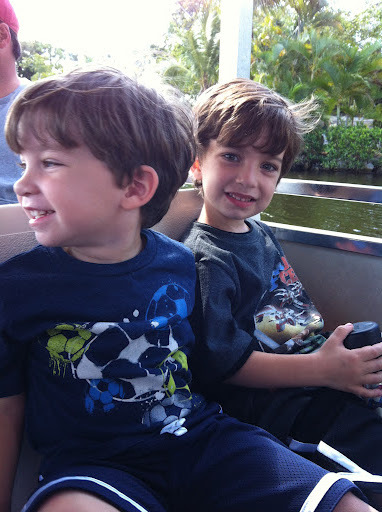 We’ve been home from the zoo for several hours now and Dylan still won’t let it go that we didn’t see the hippos – hippos that do not live at the Naples Zoo. This irrational dispute between a mother and son could last a lifetime. 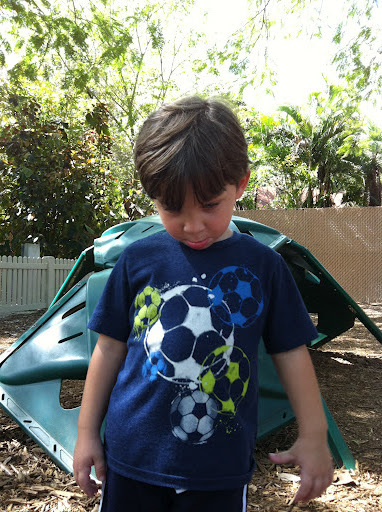 This was Riley’s “Mommy won’t let me have M&Ms before lunch” face. 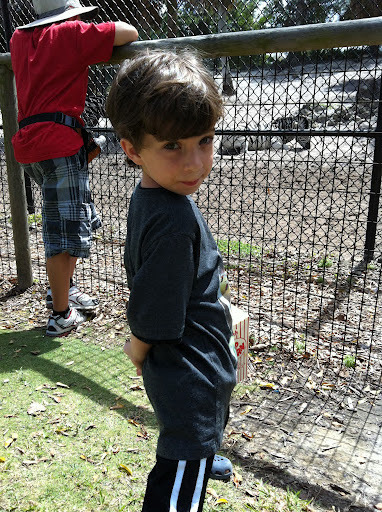 Just so you know, buttery, salty, greasy zoo popcorn puts Dylan in the mood to strike a pose. 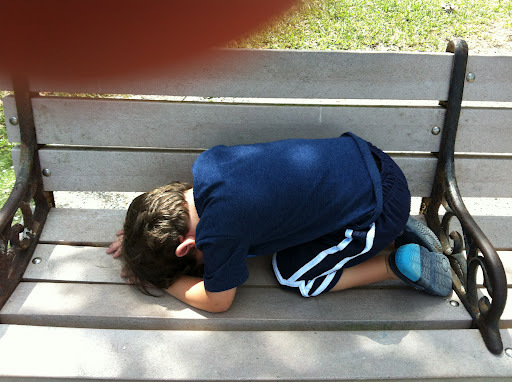 This was Riley’s not-so-subtle hint that the zoo trip was over. (Sorry about the finger on the lense…I was tired, too). Riley rolled up into a ball like a roly-poly pill bug and I had to carry him (Strong Mama!) until we reached the gift shop where he had a miraculous surge of energy, so much so that he was able to pick out a bag of plastic frogs as a souvenir from our special day. Tired little Dylan mustered up the energy to pick out something, too. 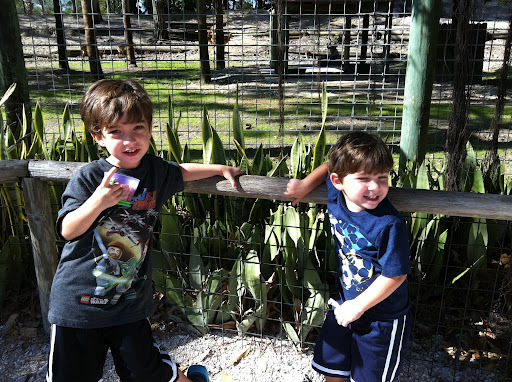 I had such a good and easy time taking these two boys to the zoo today (across the state and on my own) that I think I might finally be ready to get on an airplane with them. Or maybe that’s the post zoo Pinot Grigio talking.